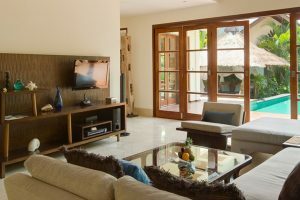 Tastefully furnished with a dining table and large sofas, the living area offers an entertainment system that includes TV with international channels and DVD player. 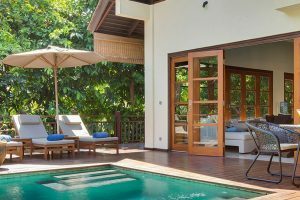 French doors line its two walls and open to a wraparound timber deck with outdoor furniture and sun loungers and out the garden with its private 6 x 4m overflow pool and cushioned bale gazebo. 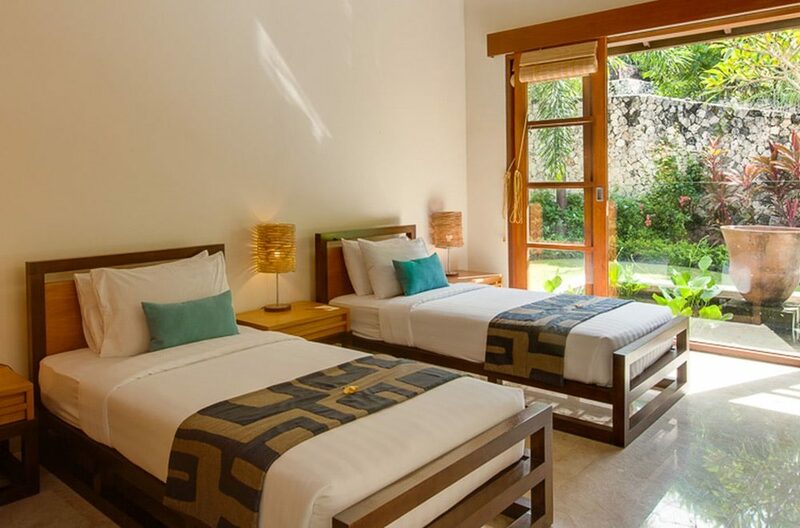 Three king size bedrooms and one with twins comfortably accomodate 8 guests. 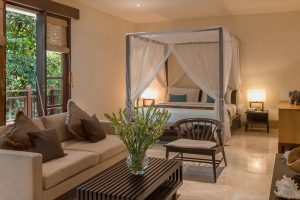 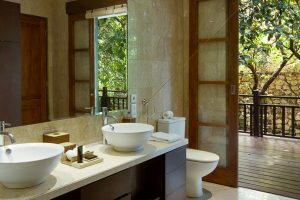 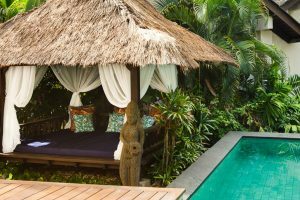 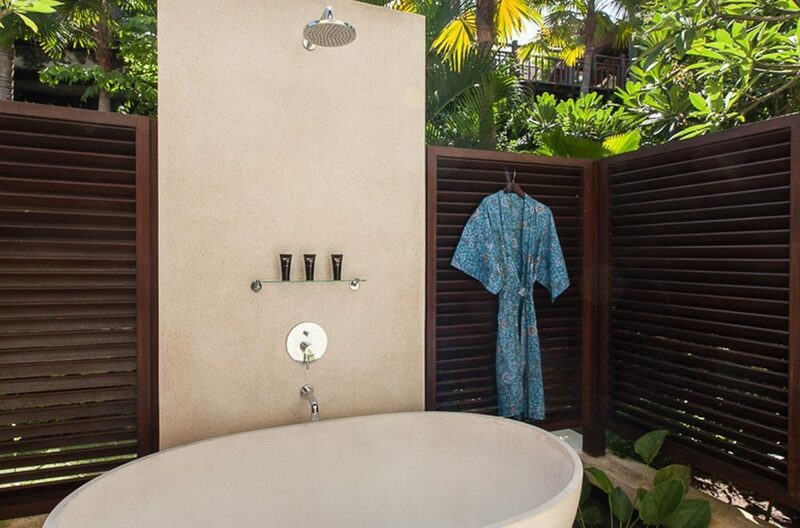 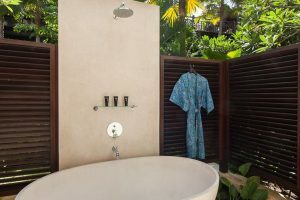 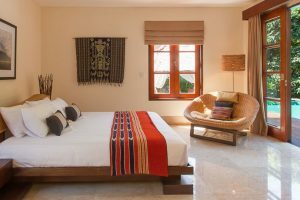 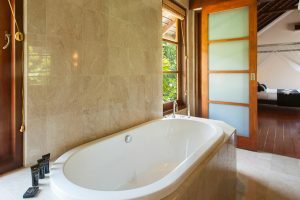 One king-size bedroom is off the the living room and has its own access to the swimming pool, with en-suite marble bathroom divided with indoor shower in addition to an outdoor tropical style shower and terrazzo bathtub. 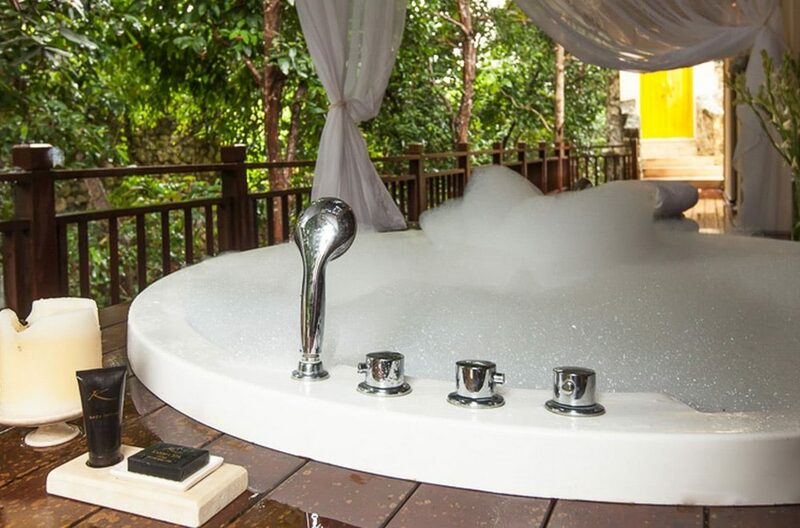 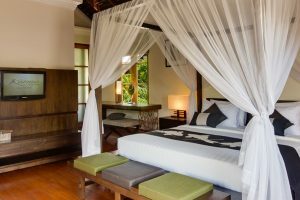 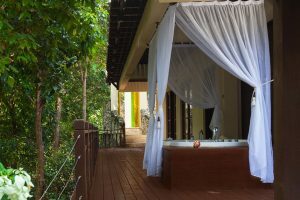 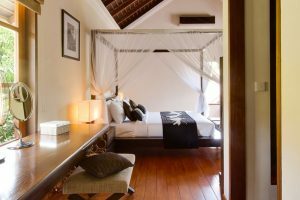 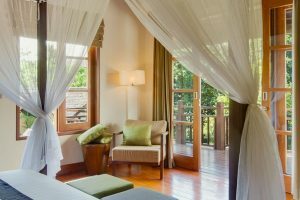 The upstairs master bedroom has a walk-in closet, a balcony with views of the tree tops, TV with DVD and international channels and en-suite bathroom with a bathtub. 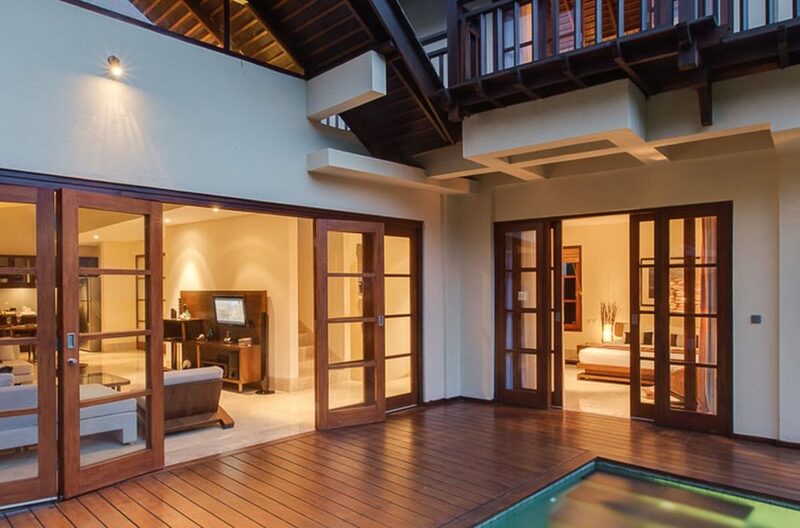 The downstairs suite has French doors that lead directly out to a wooden deck with outdoor jacuzzi bath and stairs that lead up to the pool deck. Hotel staff provide daily housekeeping, turn down service, replace towels and 24 hour room service is available. For guests requiring transport throughout their stay the resort provides a chauffeured 6-seater car. 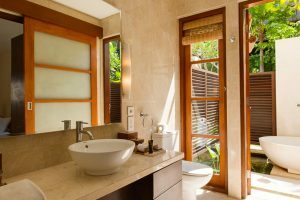 The Bukit Peninsula is home to some of the worlds most famous surf breaks including Ulu’s, Padang Padang and Impossibles. 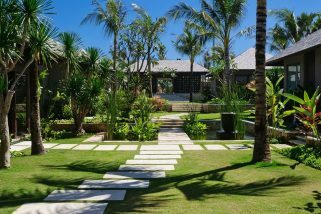 The New Kuta 18-hole Championship Golf Course is nearby and just beyond the Bukit is Jimberan Bay, famous for seafood dining on the sand. Daily 6-seater car with driver available for 8 consecutive hours on guest’s request (not include petrol for car). 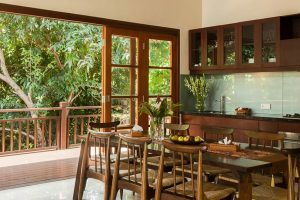 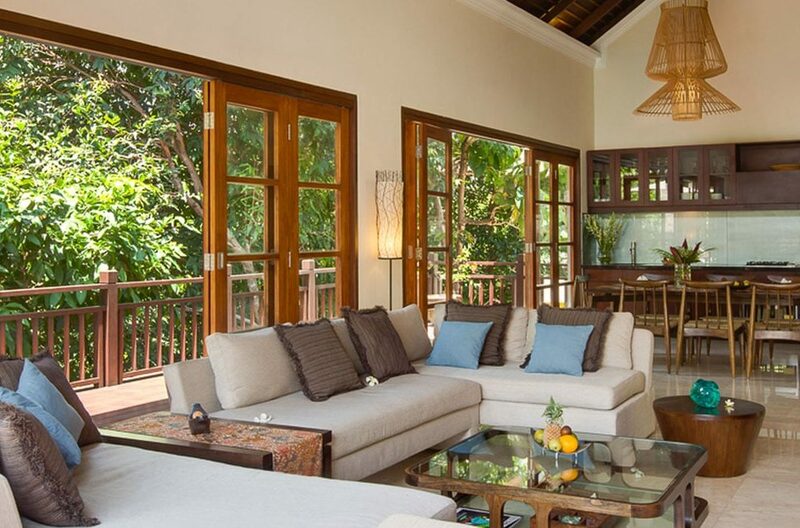 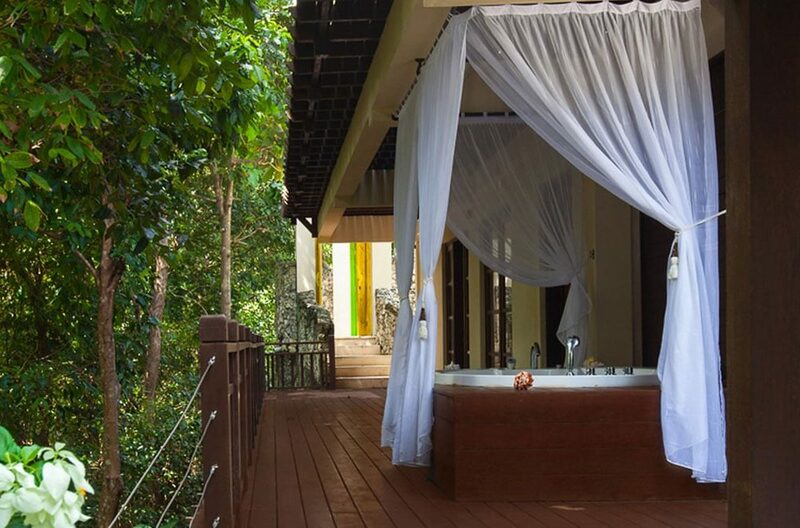 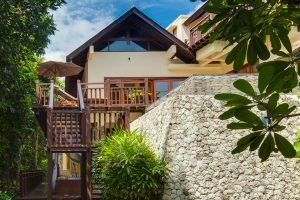 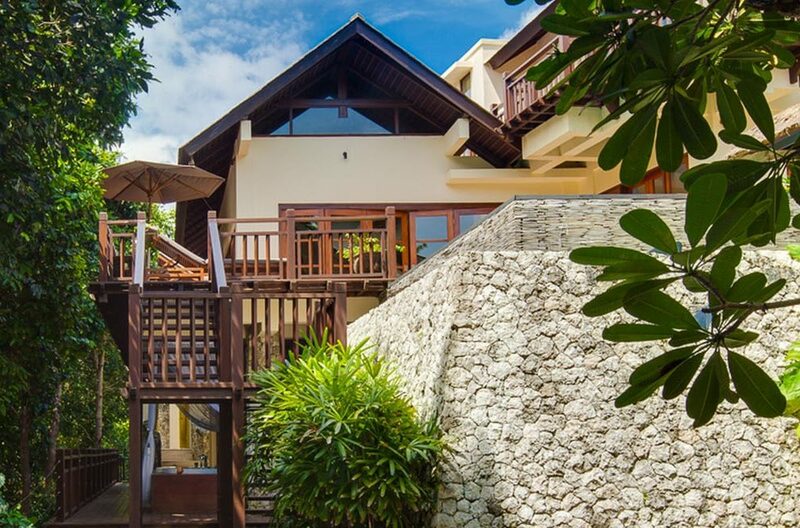 This state-of-the-art villa on the spectacular Bukit peninsula offers the perfect setting for the holiday of a lifetime with views over the sparkling Indian Ocean. 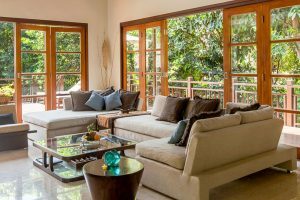 As one of seven specially commissioned, architecturally designed luxury properties, Villa Jamadera will smash the expectations of even the most well seasoned luxury travellers. 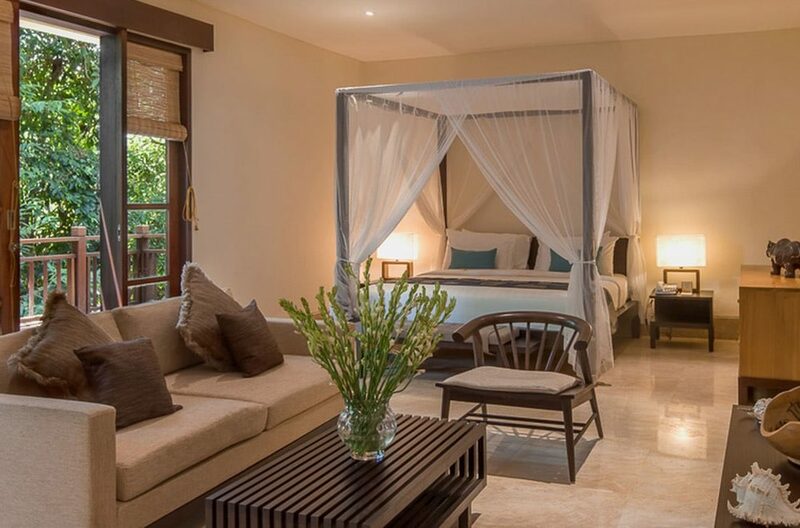 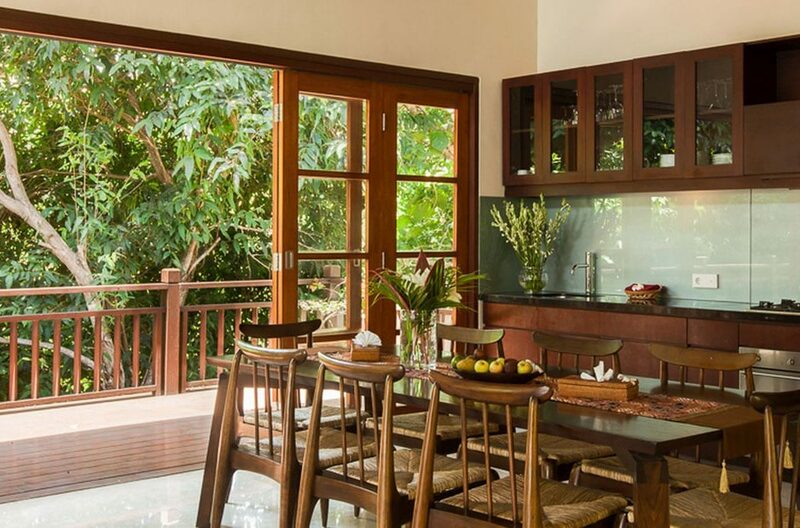 Tucked into a cliff top near Uluwatu, the view from this property will leave you breathless. 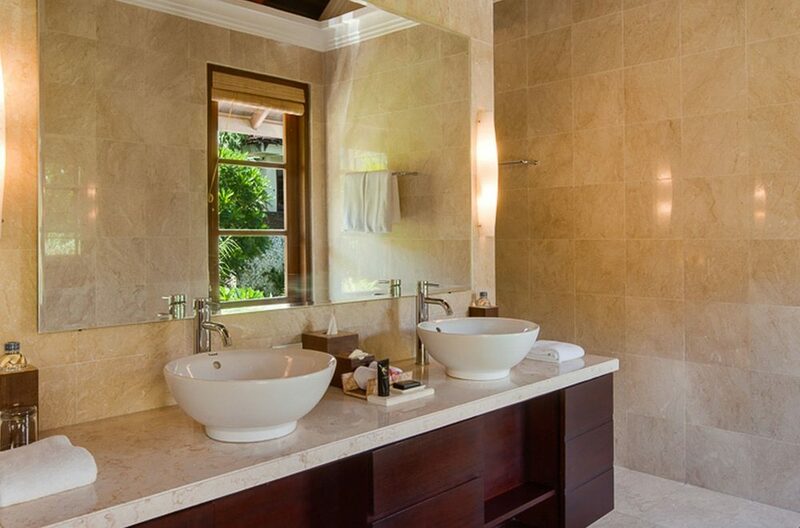 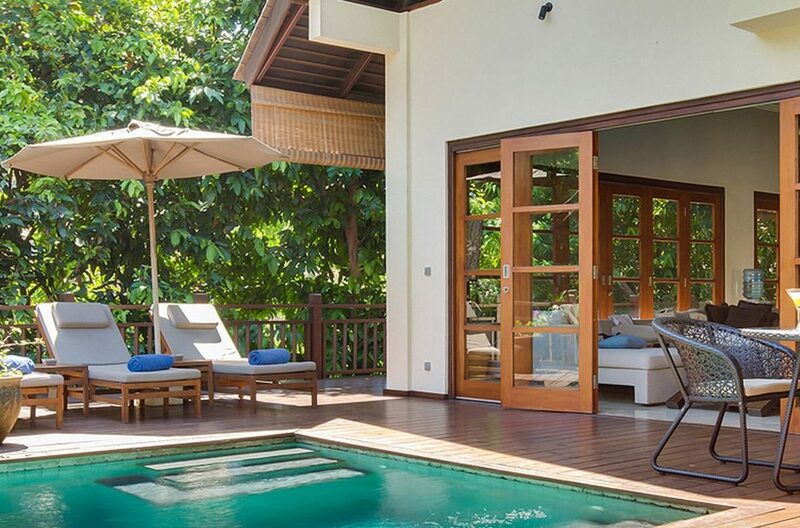 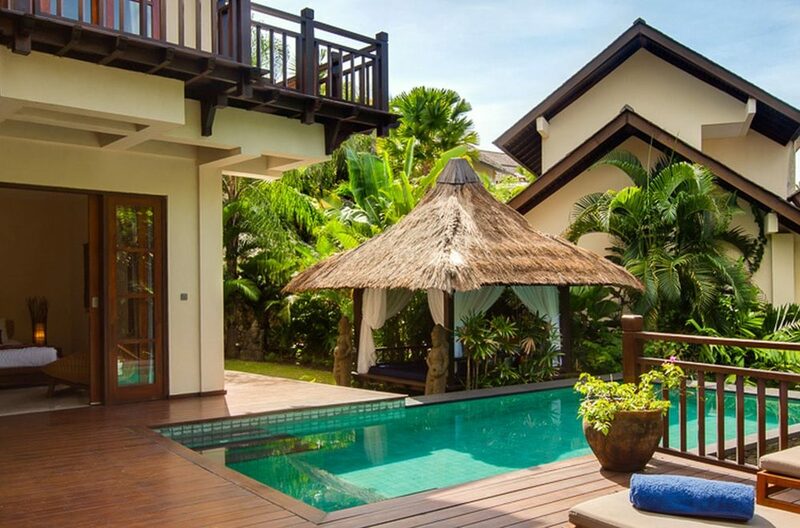 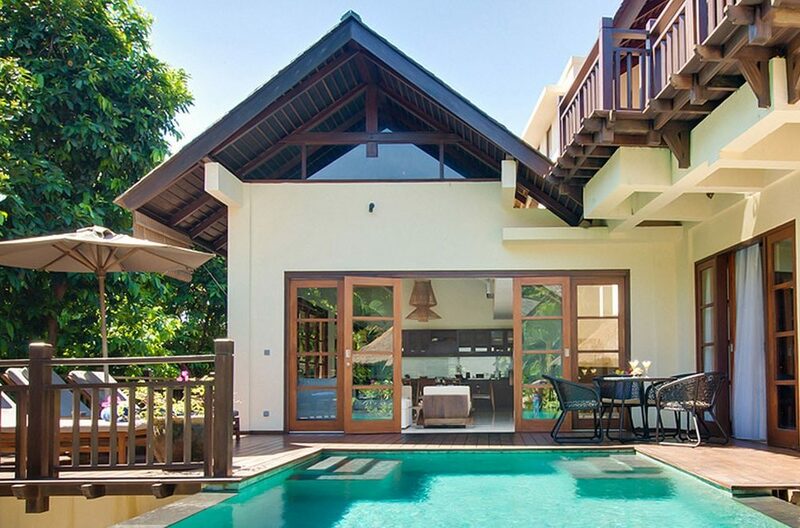 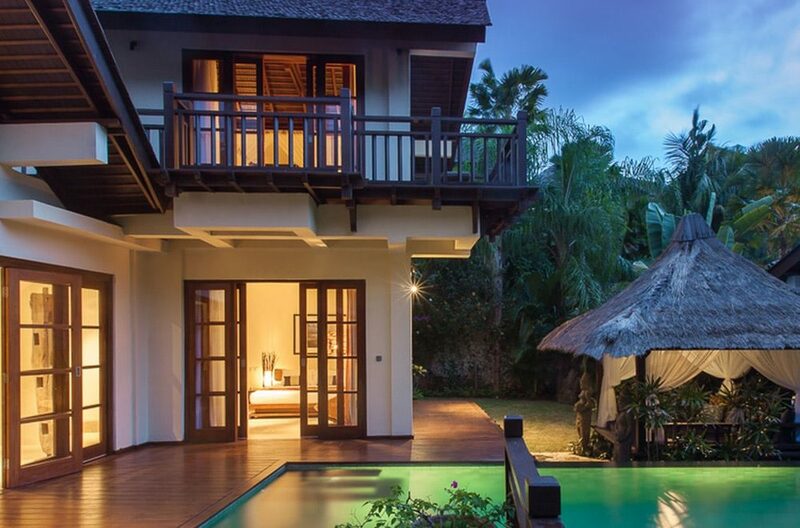 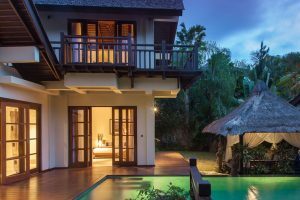 The exclusive Pandawa Estate’s flagship villa is none other than Villa Pala. 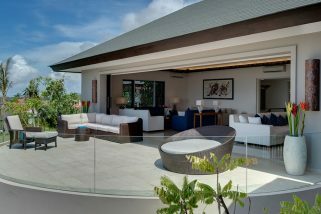 The Pala - meaning ‘Nutmeg’ offers dramatic views of the Indian Ocean set high atop the the Pandawa cliffs.